Today is the 17th of the month and that means a Blog Hop with new cards and inspiration for your crafting mojo. It is also means it is time to check the Sistahs! Go...go check them, I will wait! Each month on the 17th, card designers from all over the world join in this blog hop to give you a little creative inspiration, but mostly to remind you to check yourself. You should have arrived here from the wonderful blog of Lisa Lahiff. Want to be part of next months Hop? Join our Facebook group to get all the details HERE. 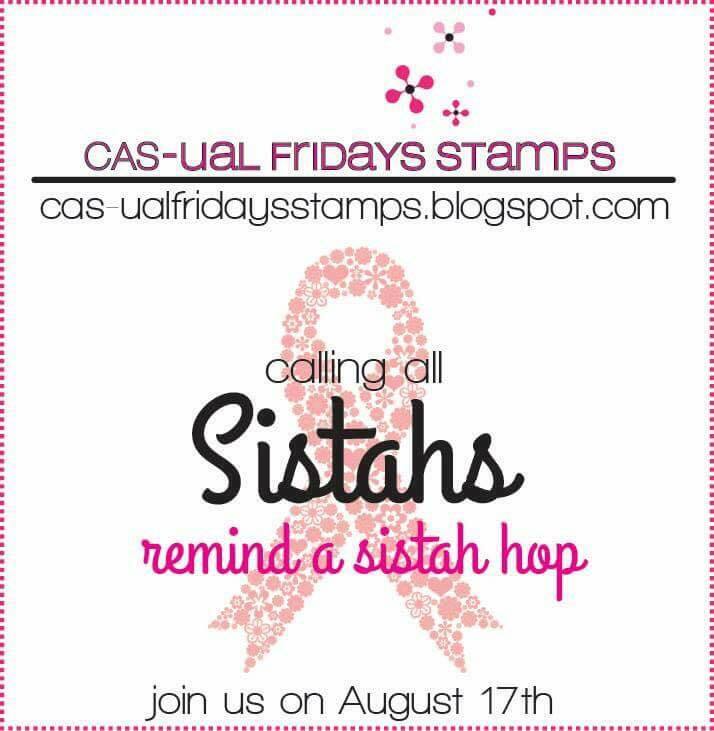 one of three $15 Gift Certificates to Cas-ual Friday's. Comments close on August 19th at midnight EST. Your next stop is the wonderful Jennifer Ingle. I love the sentiment on your beautiful card! Such a great reminder! 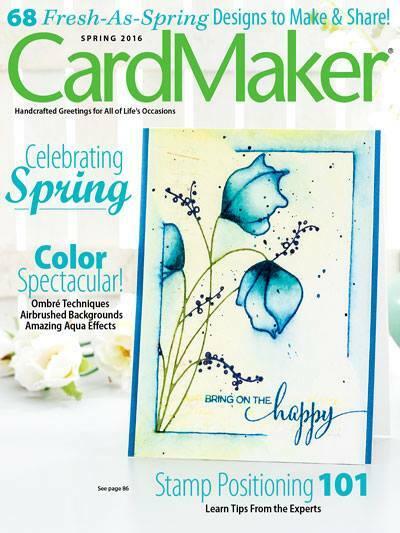 Love this way to spread the word and see beautiful cards and creations. 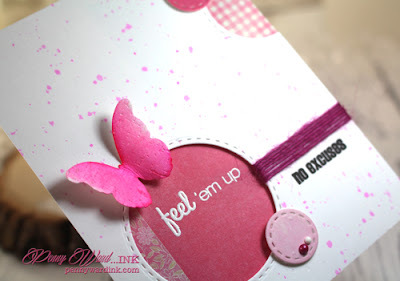 Penny, I really like the playful way you've arranged the circles on your card and I LOVE the "no excuses" sentiment. 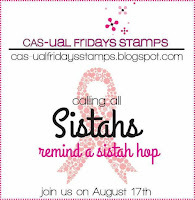 I haven't used that on a Calling All Sistahs card yet... hmmm... I must remedy that soon. :) Thank you for joining this important reminder blog hop!!! Very cute with the butterfly and the circles.